The decision by Roku to use The Roku Channel to market partner SVOD services brings it into direct competition with Amazon Channels. 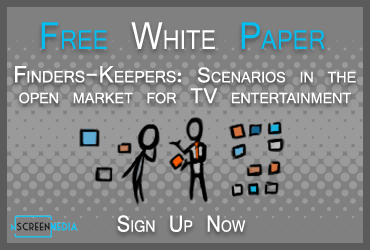 How can Roku be successful and what are some of the risks and rewards for providers in working with SVOD aggregators? I outline what Roku is planning to do to market SVOD services through The Roku Channel. I also detail why I think it is a good deal for both Roku and SVOD providers. Will lays out why Roku’s approach is also a win for consumers. He thinks that aggregators like Roku will be important to many people, but he also thinks direct-to-consumer apps from providers will remain an important component too. Roku offers SVOD providers an opportunity to develop a brand-new revenue stream: advertising. They should seriously consider taking it. As well, they should look at other opportunities, such as pay-per-view. Both Will and I highlight some of the dangers that SVOD providers face from the aggregation approach that Amazon Channels is using. If Roku can address these problems, SVOD providers could prefer to partner with Roku rather than Amazon. Roku will have to make some changes if it is to be a successful SVOD aggregators.